“Simply brilliant – hysterically funny and strangely moving ” is how Claudia Winkleman has summed up this unique poet, playwright and broadcaster. 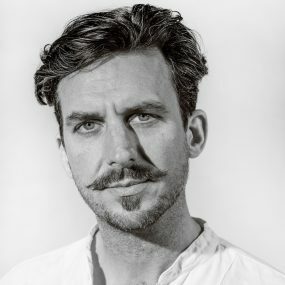 Widely regarded as one of the best-known poetry voices in Britain, Murray Lachlan Young presents his live show: a hybrid mix of stand-up comedy and poetry with delightful commentaries on the bizarreness of contemporary life. Live and onstage, you can expect flamboyant punchy wit and brooding subtext with empathetic humour. Known for his numerous appearances and residencies on BBC Radio 2’s ‘Arts Show’ and Radio 4’s ‘Saturday Live’, Murray was resident poet of BBC 6 Music and BBC ‘Test Match Special’. He recently chalked up a huge BBC Radio 4 hit with his poetic responses to the shipping forecast. Please note that Murray will also be presenting his own children’s show in Launceston’s Guildhall at noon on this same day.